No. The aforementioned film isn't another bio-pic on the music impresario, Ray Charles. Furthermore, it isn't a brash attempt at boosting the ophthalmic profession either. 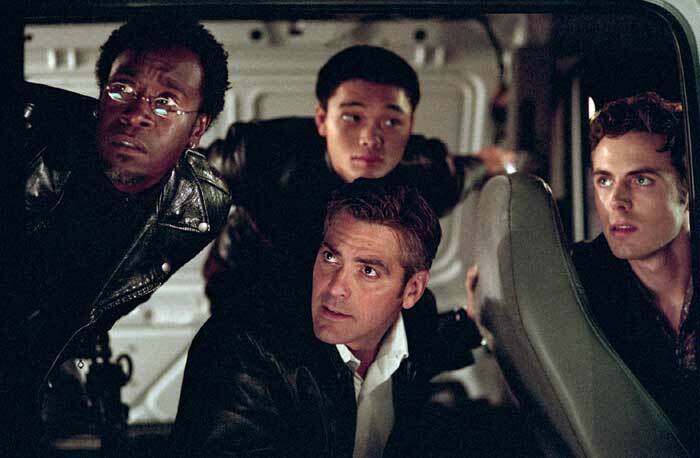 Instead, this cleverly titled film is a rather nifty not so comedic crime caper, Directed by Steven Soderbergh; and Starring: George Clooney, Jennifer Lopez , Ving Rhames, Don Cheadle, and Albert Brooks. It took its first eye examination in 1998, which regrettably lasted for a whole 122 minutes. Poor Buggers. Now charming bank robber, Jack Foley (George Clooney), thought that everything was going his way when he intercepted a prison escape, and then broke out of his confinement with some help from his trusted aide, Buddy Bragg (Ving Rhames). But no. He was mistaken. 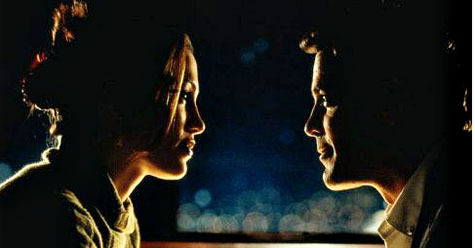 During their subsequent road trip together, both Jack and Buddy inadvertently take a Federal Marshal hostage -- called Karen Sisco (Jennifer Lopez) -- before another one of Jack’s accomplices -- Glenn Michaels (Steve Zahn) -- get's tricked by Karen, leaving the criminals stranded on the side of the road. Alright. I know that this does sound rather funky within the scheme of things, folks. But is it as funky as when Glenn crashes his car into a lamppost when he and Karen reaches the city? Or when this strange encounter leaves’ both Jack and Karen very emotionally confused? Yeah. Straight up. This diametrically opposed couple begin to fantasize about each other, and this is expressed the very next time their paths cross -- when Karen spot’s Jack while the FBI are in the process of capturing him -- and the time after that when they bump into each other whilst Jack is instigating is very cunning plan. OK. I know what you're thinking to yourself. So what's Jack's plan, right? Well, its a simple one on the surface. Jack wants to get his own back on a fellow prison inmate, Richard Ripley (Albert Brooks), because this rich w*nker took Jack under his wing when he was on the inside, and then, when Jack was released -- just prior to him being put inside again and then escaping again -- Richard treated him very-very badly indeed. So that's why Jack wants to get some revenge on his one time fellow rich cell-mate -- by robbing him -- get it? If not, that's most probably why what next transpires all kicks off when Jack does to Karen what he wants to do to Richard, hint-hint. As Maurice Miller (Don Cheadle) is a crook – who wants a left hook – Buddy goes Anglo-Saxon – plus if you ever get carted off to prison, please remember to say hello to Karen and Samuel L Jackson. 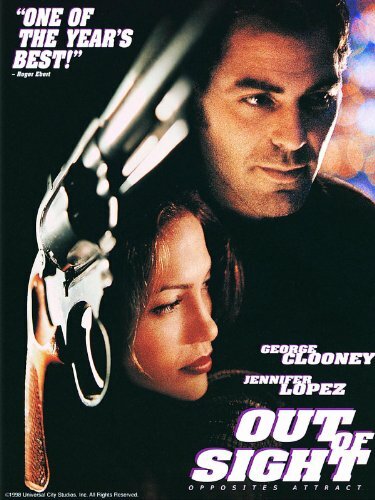 Now did you know that 'Out of Sight' is an adaptation of an Elmore Leonard novel that went by the same name? Also, that it acts within the same universe as Elmore's other book -- 'Rum Punch' -- which was adapted by Quentin Tarantino into his film, 'Jackie Brown', and starred Michael Keaton, who reprized the same role in this film as he did in Quentin’s film. Ops! I've started off this review on a trivia splurge without realizing it, haven't I? So sorry about that. Well, I might as well continue the motion with some filmic fact's next , huh? (1) 'Universal Pictures' released this $48 million dollar production on the same day Microsoft released 'Windows 98' -- the 26th of June, 1998 -- eventually making back $77 million dollars at the box-office. (2) Apart from the few studio based scenes, most of this movie was shot on location throughout America. These included such lo-cals as: Angola, Louisiana; Bloomfield Hills and Detroit, Michigan; Lincoln Heights Jail, Los Angeles; plus Miami, Orlando, and Palm City, Florida. (3) When Elmore Leonard originally sold the rights to his novel to be made into this film, he envisioned either Jack Nicholson or Sean Connery to be cast into the role of Jack Foley. (4) 'Entertainment Weekly' magazine ranked this crime thriller to be the most sexiest movie ever made in November, 2008. (5) This was one of the few movies to have two stars appearing in it that at one time or another played Batman -- Michael Keaton and George Clooney. Also, on a side note, both Michael and Samuel L Jackson waved their fee for being in this production. (6) If you look very closely at the George Clooney mug-shot, you'll notice that it's the same one as he had in the film, 'From Dusk Till Dawn'. (7) For some reason they called this movie 'Irresistible Passion' in Brazil. (8) On two different occasions, both Sandra Bullock and Catherine Keener were in contention for the Jennifer Lopez part in this picture, Karen Cisco. OK, so with that out of the way with, please let me just say that 'Out Of Sight' was one confusing film. Please note: I'm not referring to the acting or the action in it. No. They were both great. Also, I'm not talking about the overall story either. No. That was just fine. What I have the problem with, is the manner in which this story was actually told. Well, if you take a look at such films as 'Reservoir Dogs' or the aforementioned ‘Jackie Brown’ for example, you'll notice they both adder to a novelistic approach in the way it's tale is presented upon the screen -- jumping around structurally and stylistically from past to present, at a drop of a hat. Unfortunately, though, when ‘Out of Sight’ tries to do the same thing -- nah -- it fails miserably at doing so. Truthfully. There were points throughout this crime thriller where I didn't know what the f*ck was happening from one moment to the next! Is it the past? Is it the present? Is it a dream sequence? Or is it something else altogether? I'm afraid to say that these transitions weren't signposted clearly enough; and tries to employ a freeze frame technique, that at first, made me grumble under my breath because I thought my DVD player was malfunctioning, HA! But on a more positive note, the acting in this film was just great. Both George and Jennifer are as charming as ever; and have the ability to hold this film together to the best of their abilities. Granted, on the odd occasion you can actually tell when lovely-jumbly-Jen is actually acting -- which can be slightly off putting when this happens -- but all in all she does a pretty decent job. Overall this film is a very nice film. Nothing spectacular. I admit. It’s just a Sunday evening chill-ax film, with a pretty cast, a pretty backdrop, and a pretty nifty story.